The SWAT-Tourniquet is a unique and multipurpose dressings. Its name provides a description for usage Stretch, Wrap, and Tuck, but also the communities for whom it was developed - military and civilian Special Weapons and Tactics teams. 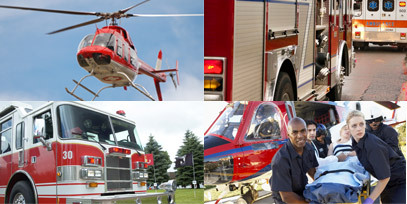 These teams operate in an environment that has a high incidence of penetrating trauma, and most (two-thirds) of preventable deaths in the operational environment are from extremity bleeding. The SWAT-Tourniquet™ allows a more rapid means to control extremity bleeding and allows application higher into the groin and axilla than other tourniquets. Its ease of application is one of its greatest benefits; individuals can effectively apply it in seconds with little to no prior training. At a third of the cost and weight of other combat used tourniquets, this tourniquet should find its way forward with every tactical operator. 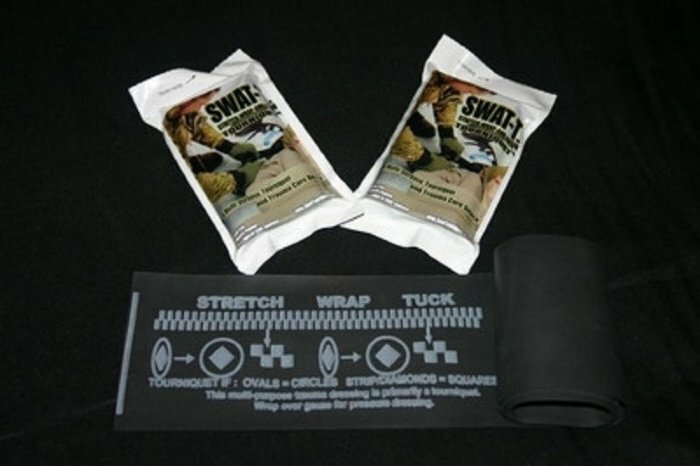 The SWAT-T can be used as a tourniquet, pressure dressing, as well as a elastic bandage to hold ice near sprains and strains, stabilize a twisted knee/ankle, or to sling a shoulder.